At 6pm in SoGourmet's kitchen, delight yourself and your loved one to a delectable Four Course Meal starting with a green salad with champagne vinaigrette, fresh pasta with lobster cream sauce. An entree of grilled filet served on a bed of red bliss potatoes with a wild mushroom bordelaise, Tomato Rockefeller, and grilled asparagus. Dessert will be Cherries Jubilee served over almond pound cake. 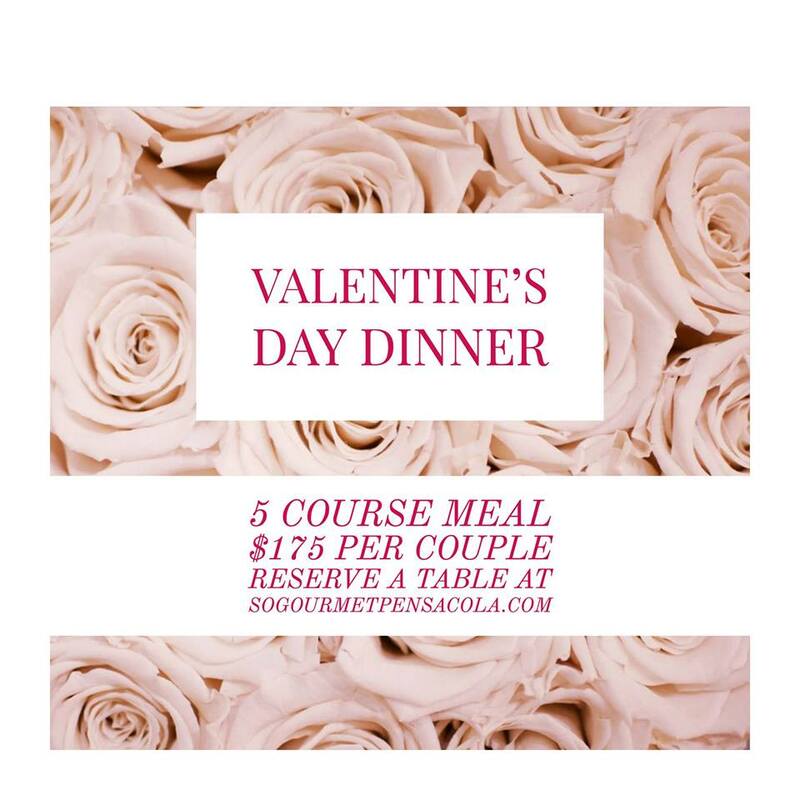 There will be free champagne and a box of chocolates provided by Bubba's Sweet Spot to accompany your meal. $175 per couple. Please call 850-438-7857 for more information.